LOWELL - John "Ioannis" Panaras, a longtime resident of the Highlands neighborhood of Lowell, died unexpectedly on Sunday, January 13, 2019, in Lowell, aged 84. He was the beloved husband of Fotini “Fay” (Krosaris) Panaras, with whom he shared 59 years of marriage. Born June 17, 1934, in Vlahava, Thessalia, Greece, a son of the late Fotios and Vasiliki (Demos) Panaras. He was a veteran of the Greek Army. John married Fay on September 13, 1959, in Kalambaka, Greece, where they made their home. For several years, the couple worked in Germany. Orphaned at a young age, John was determined to provide a better life and more opportunities for his family. On August 1, 1968, with nothing more than a suitcase in hand, he brought his wife and two young daughters to the United States. John’s many accomplishments over the years leave a legacy of success to his proud family. He worked as a mason for most of his life, and later was employed by USCI, a Division of C.R. 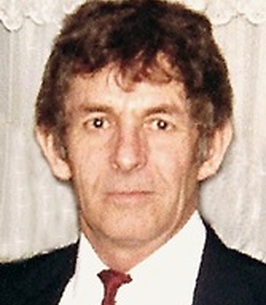 Bard, until his retirement in 1996. John enjoyed fishing and gardening, and was always there to lend a helping hand to family, friends, and neighbors. He liked to work with his hands and could fix almost anything. He also enjoyed Sunday drives, Greek music and food, and often went to Greek Church picnics with his family. Most of all, he loved to spend time with his grandchildren and great-children, all of whom he was so very proud. In addition to his wife Fay, he is survived by two daughters, Vasiliki Crockford and her fiancé James Brunelle, and Demetra Blanchette and her husband, Michael. Three grandchildren, Joseph Keller and his wife Jill, Nicholas Crockford, and Fayla Blanchette. Two great-grandchildren, Quinn Keller and Mitchell Keller. A brother-in-law, several sisters-in-law, and many nieces and nephews. He was the brother of the late Themios, Giorgios, Panayiotis, and Frosini, one sister-in-law, and three brothers-in-law.